Profiles of four sorcerers and magicians from antiquity. In the Alexander Romance attributed to Callisthenes (c 370-327 BCE) Nectanebus was the Egyptian Pharaoh who claimed to be the father of Alexander the Great. He was thought of as a great magician and astrologer. In one account, he tried to seduce the Olympias, the wife of Philip of Macedon by extracting the juice from plants known to induce dreams. He then molds a wax figure of a woman and writes the name Olympias on it. He then lights his lamps, ours his juice, and invokes the ‘spirits appointed to perform this function’ with secret oaths to give Olympias a vision of the god, Ammon, embracing her. The purpose was to enable Pharaoh to pose as Ammon and take his place in Olympias’ bed, thus fathering Alexander the Great. Theocritus (c. 310-c. 250 BCE) wrote a treatise under the title Pharmakeutriai (‘the Witches’). The text describes a young Greek woman, Simaetha, who fell in love with a young athlete. They hooked up and for a time were happy together, but now, he has not come to see her for 11 days. She decides to use magic to get him back. She visits a number of practitioners and then performs a magical ritual near her house that involves barley groats, bay leaves, bran, wax, liquids (wine, milk, water), coltsfoot, and pulverized lizard. She uses a magical wheel, a bull-roarer, and a bronze gong as tools. She also has a fringe from her lover’s cloak that she uses to represent him that she throws into the fire. Finally, she speaks various spells and incantations to the full moon and to Hecate. 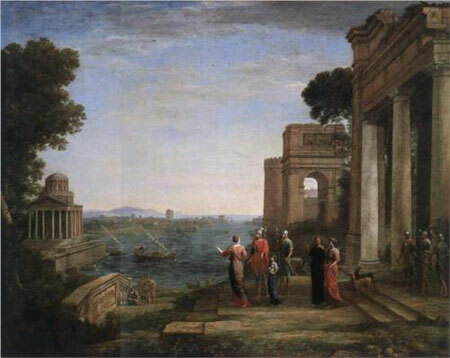 While not necessarily a witch, Dido meets Virgil’s Aeneas on the coast of North Africa. 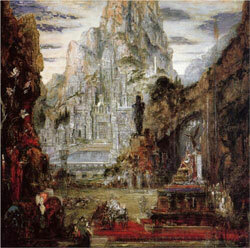 The two live happily together until Fate demands tat Aeneas leave to found his own empire. Dido becomes bitterly angry and vows to destroy herself. She builds a pyre in the main courtyard of her palace with the aid of a sorceress and makes a sacrifice to the powers of the underworld. Unfortunately, she realizes that no love-magic will bring Aeneas back to her, and decides to kill herself on Aeneas’ own sword in despair. Thou Hecate hearken from thy dark abodes! According to Luck, Horace’s account of the witch, Canidia, is a satire designed to debunk the widespread belief in witchcraft. Most people feared witches and sorcerers, but Horace tries to explain that while they may seem weird, they really don’t do what they claim to do. Canidia and her group of witches kidnap a Roman noble boy for the purposes of using his liver in a potent love potion. Her victim was a man named Varus, and everything she had tried up to that point had failed in winning his love. The boy realizes he doesn’t have a chance of convincing the witches to let him go and instigates his own curse upon the witches. (Epode 5) In another account (Satire 1.8), a statue of the god Priapus had been placed in a beautiful park on the Esquiline in Rome to ward off thieves and birds. One night, Canidia led a group of witches into the park, which used to be a cemetery, to perform necromantic rites. Praipus was appalled by their doings and lets out a fart, startling the witches, who run away screaming. One even loses her wig, while another loses her false teeth.